Genuine LAPIS LAZULI Loose Gemstone - Round Cabochon / Button Dome 9mm 2.28 Cts. Set of 2 Faceted JALISCO MEXICAN FIRE OPAL Cushion 4mm Loose Gemstones 0.37 Cts. 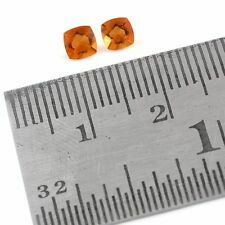 Set of 2 Faceted Orange SAPPHIRE Loose Gemstones - Pear 5x3 mm 0.5 Cts. 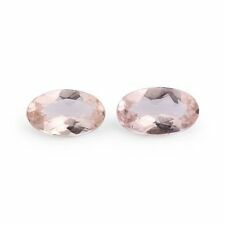 Set of 2 Faceted MARROPINO MORGANITE Oval 5 x 3mm Loose Gemstones 0.38 Cts. Set of 2 Faceted Brazilian BLACK ONYX Loose Gemstones - Pear 6x4 mm 0.6 Cts. Set of 2 Faceted Brazilian BLACK ONYX Loose Gemstones - Pear 9x6 mm 1.84 Cts. Set of 4 Green Tsavorite GARNET Marquise Gemstones 4x2 mm Total -1.52 Cts. Set of 2 Faceted SKY BLUE TOPAZ Trillion 5mm Loose Gemstones 1.56 Cts. Set of 3 BLACK ONYX Loose Gemstones Round Cabochon - 1x 6 mm, 2x 4 mm -1.11 Cts. Set of 5 Faceted MOZAMBIQUE GARNET Pear 6 x 4 mm Loose Gemstones 2.62 Cts. Set of 2 Faceted ORISSA RHODOLITE GARNET Trillion 6mm Loose Gemstones 1.68 Cts. Set of 2 Faceted Espirito Santo AQUAMARINE Octagonal 6x4mm Baguette 0.97 Cts.